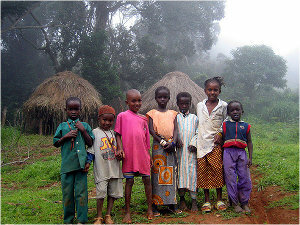 Description: Fulani children of Doucky. Picture taken at Fouta Djallon. Date: 16 November 2005, 03:33 pm local time. Licensing: This file is licensed under the Creative Commons Attribution ShareAlike 2.0 France license.